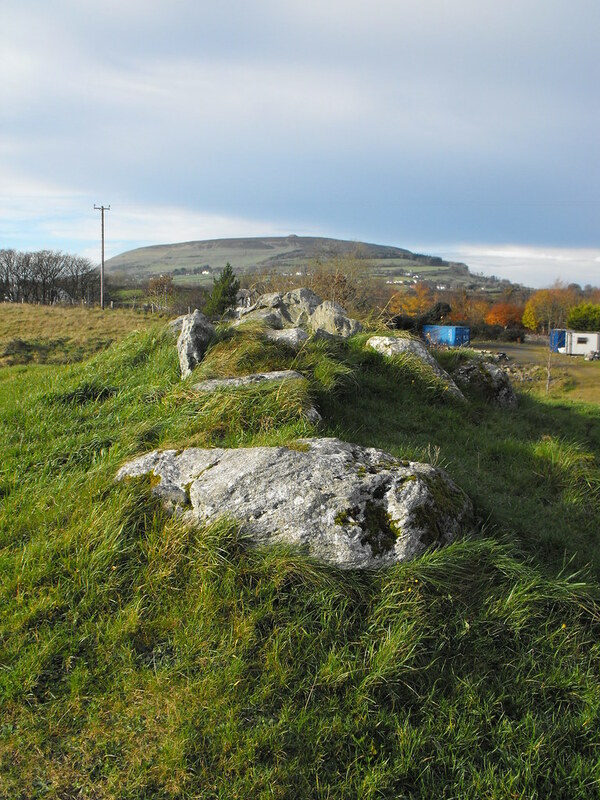 The Standing Stone: Tomb 53, Passage Tomb, Carrowmore, Co. Sligo. 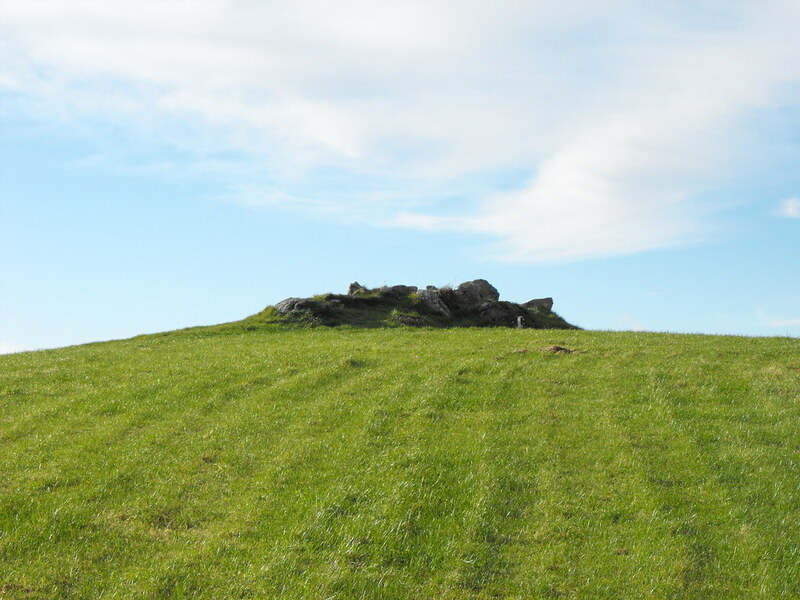 Tomb 53, Passage Tomb, Carrowmore, Co. Sligo. 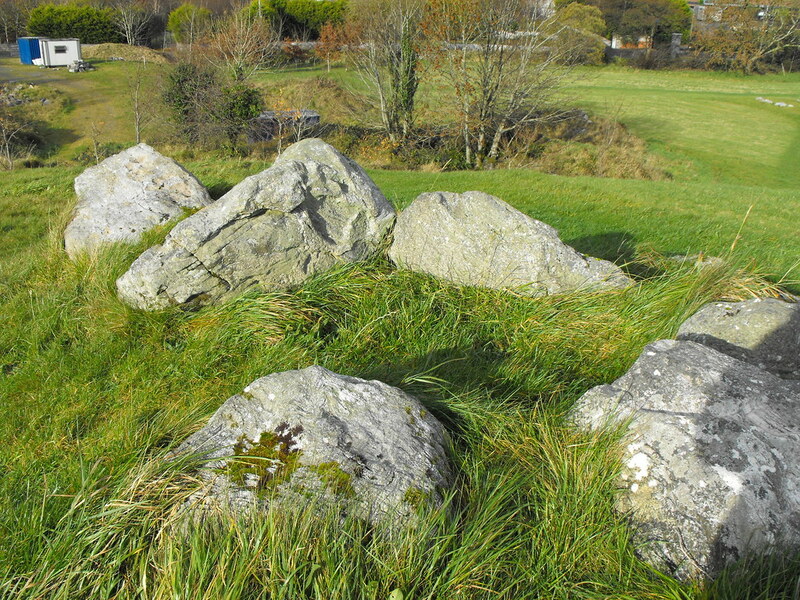 Location – In the main area of tombs behind the visitors centre. 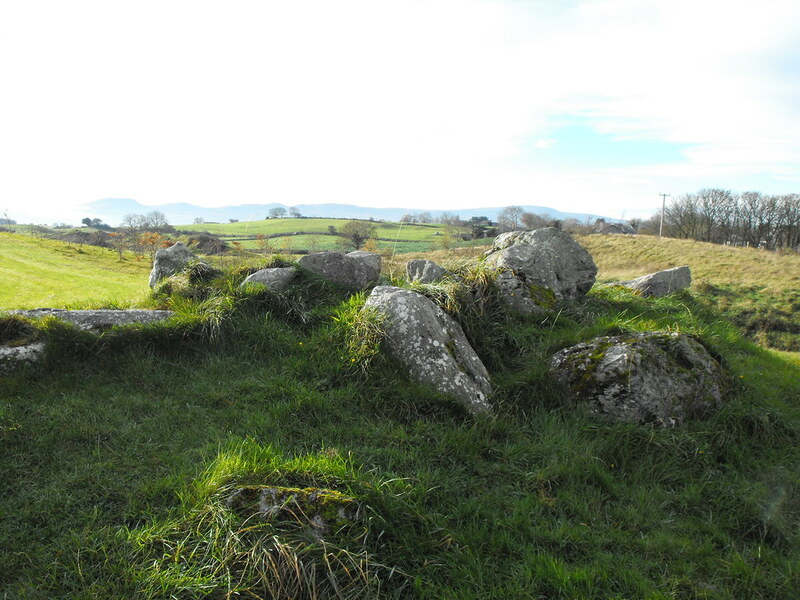 Description and History –This tomb points towards Listoghil, as do many other tombs, and remains consist of a passage tomb that is very ruined and a few remaining stones from an outer boulder circle. 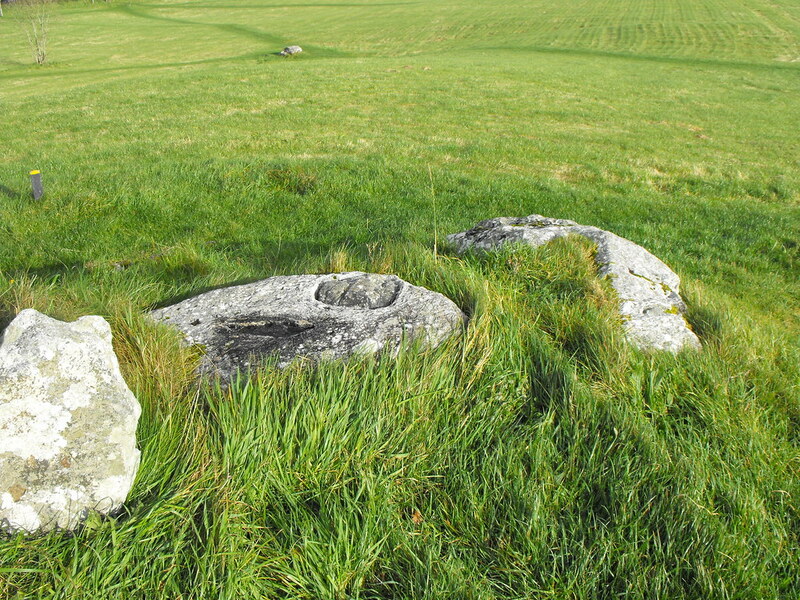 It was hidden beneath a local field wall for many years before being exposed and excavated. It is hard to make out what this tomb was like as it is so disturbed. Bones, pottery, flint and shells were all found at this site. Difficulty – Like all other tombs in this area...very easy. With Knocknarae in the background.